Turn your average sandwich into an exciting culinary experience. 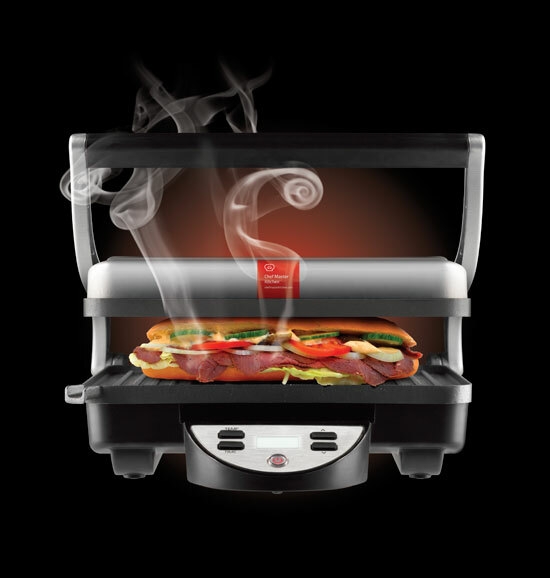 You can also create that great griddled effect on your vegetables, breads, meat, etc. It’s perfect for giving your favourite dish an extra special touch! Additionally, you can control the grilling temperature and time from the handy control panel.